Just came out, the teaser for the new Futaba 7PXR Carbcon Limited Edition. The 7PX Limited Edition raises the already extraordinary 7PX to an even higher level with numerous upgrades to enhance not only performance but also comfort and styling. Available with both the R334SBS, or the R334SBS-E which is especially intended for electro models. 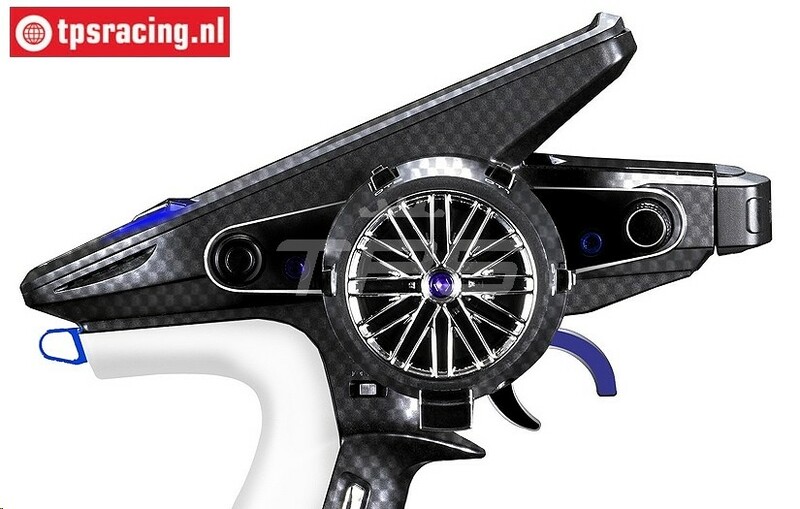 The case is moulded with a stunning deep satin black finish accented by chrome wheel and buttons. There are six push buttons, one 2-Position switch and 6 digital trims all of which are assignable to numerous different functions or any one of the 6 fully linear channels. The huge 4.3" colour touch screen is easy to use and responds fast to the touch. There is also a jog dial if you prefer to navigate that way. Using a new system called 'SR' this is Futaba's the fastest responding radio so far with a frame rate of 2.45 milliseconds! This new system brings in a locked in feel and response that racers and performance drivers will truly appreciate. 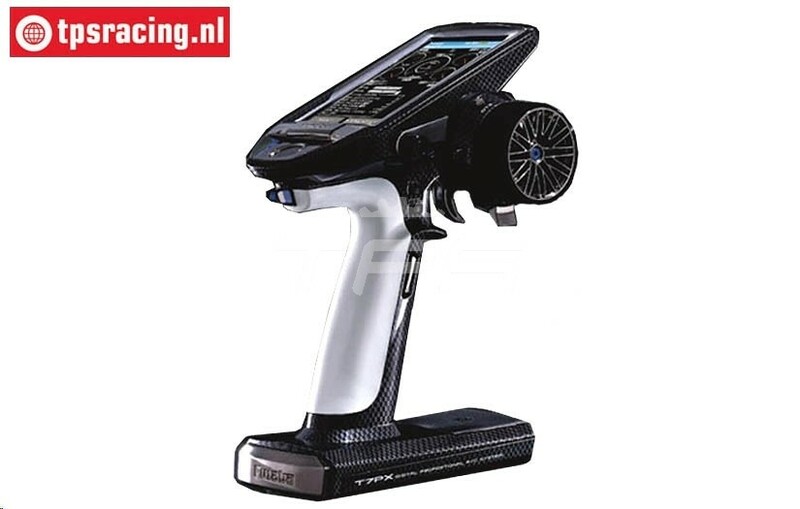 The T7PX is also compatible with Futaba T-FHSS, S-FHSS and FASST so you can select your preferred transmission system for each car to suit your requirements and budget. With T-FHSS telemetry the data can be displayed on the screen or relayed by a synthesized voice using the in-built speakers or headphones (not included). 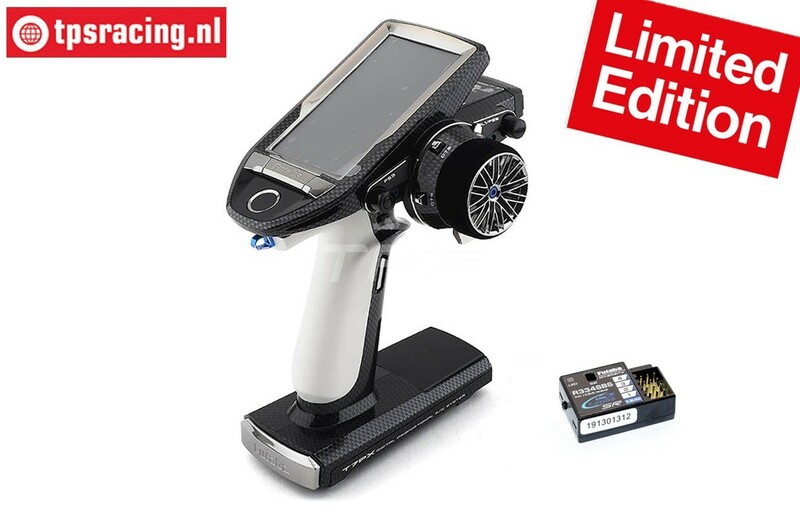 The T7PX has the ability to update its software using SD card but it also have NFC (Near Field Communication) which means you can update the radio from an android phone just by opening an APP and placing it next to it! Just another way that Futaba is at the forefront of technology to make your hobby easier. 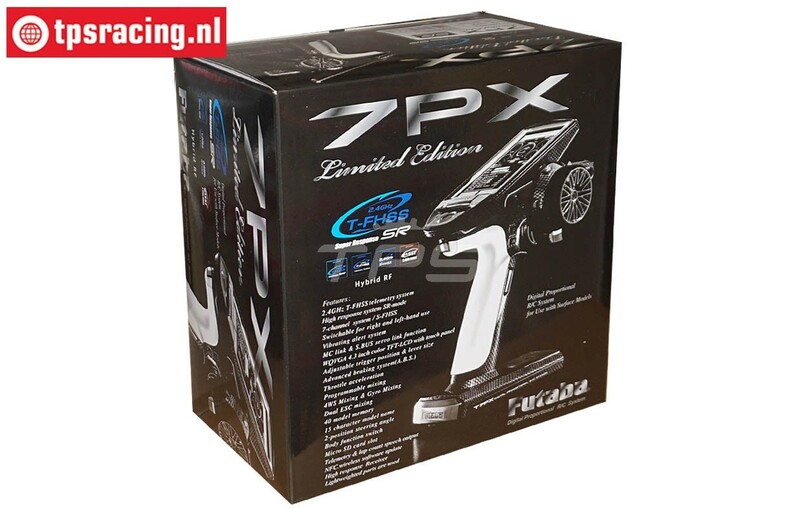 100031MAX2049 Maxpro 2S 2800 mAh LiPo, 1 pc. P-EBB1172 Transmitter case Futaba 7PX, 1 pc. 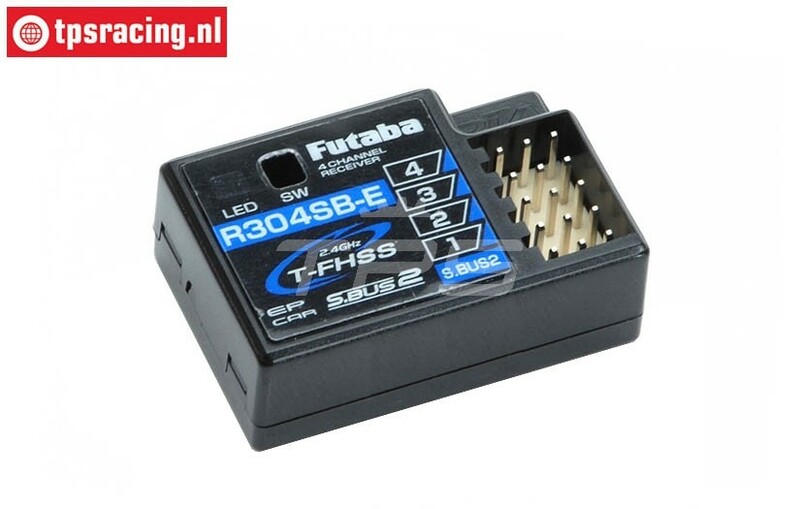 P-EBT3334 Futaba 7PX Grip E-Top, 1 st.
P-R334SBS Futaba R334SBS receiver, 1 pc. EBT3338 Futaba 7PX Screen protector, 1 st.
O-XLD364-0600T Transmitter charge cable Futaba, 1 pc. 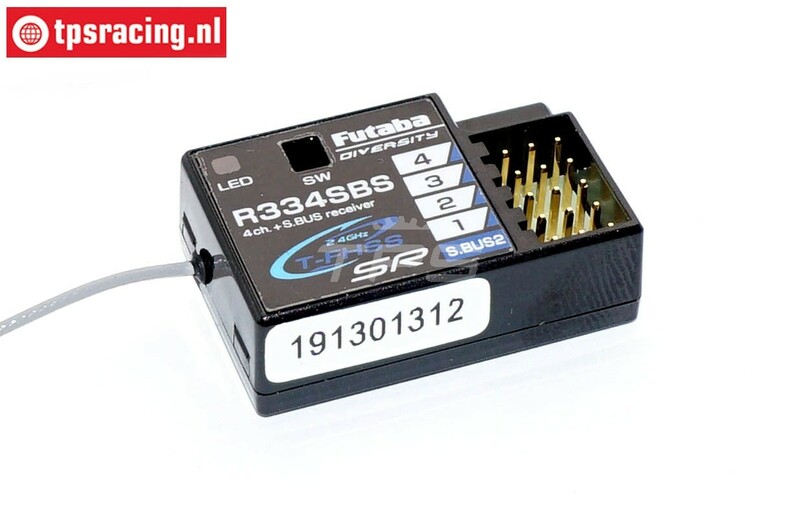 P-R334SBS-E Futaba R334SBS-E Receiver, 1 pc. 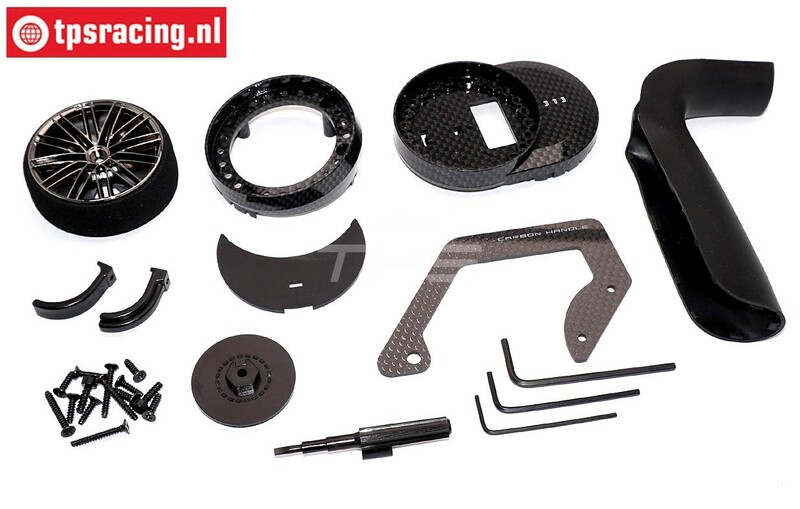 EBT6640B Aluminum steering wheel Black Futaba, 1 pc.